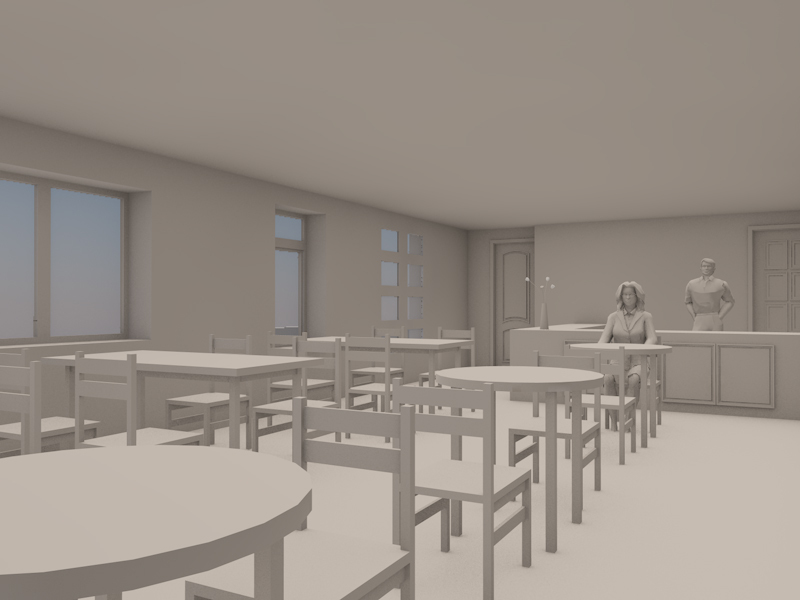 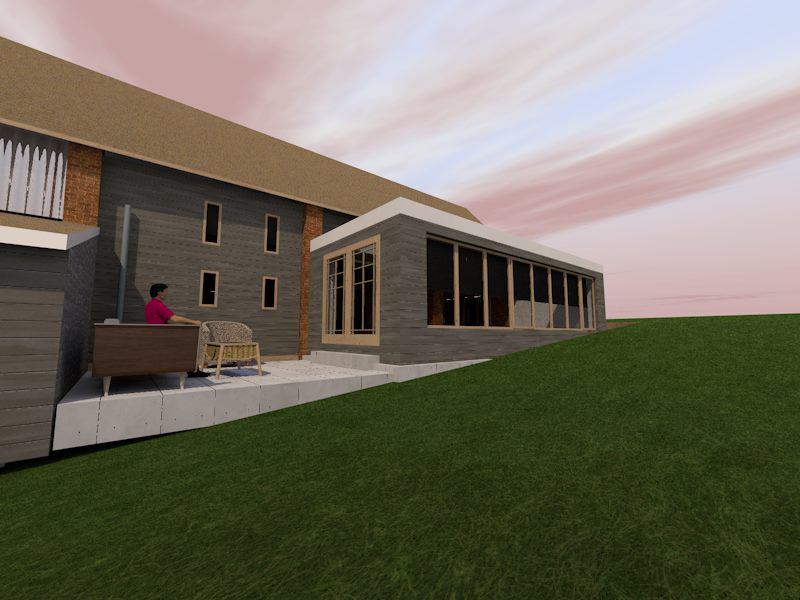 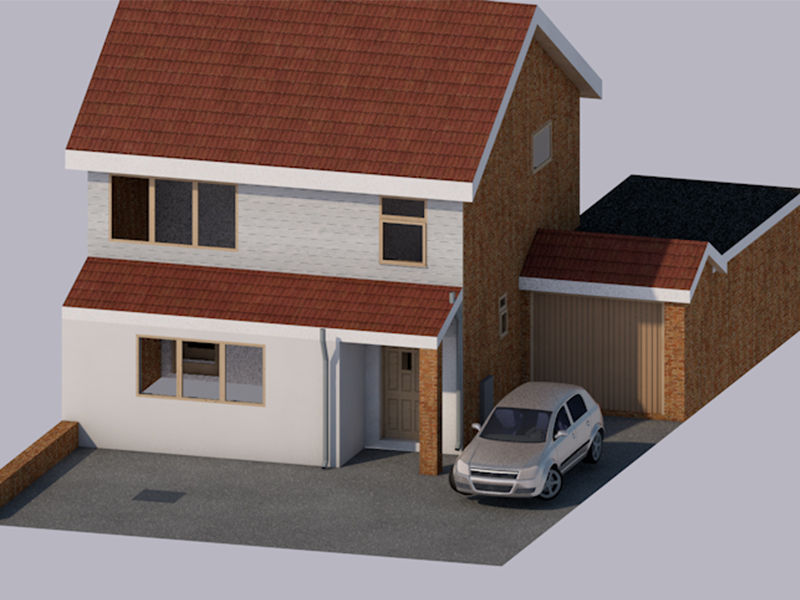 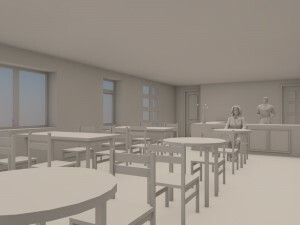 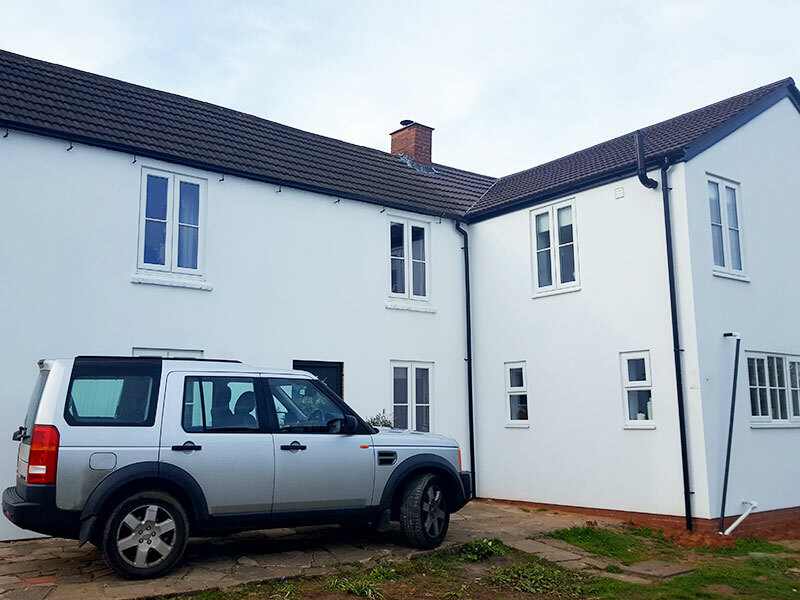 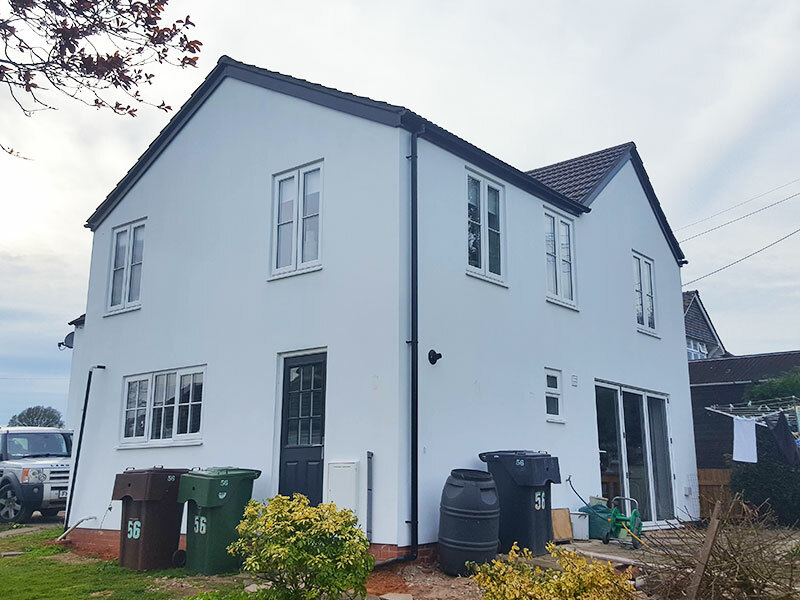 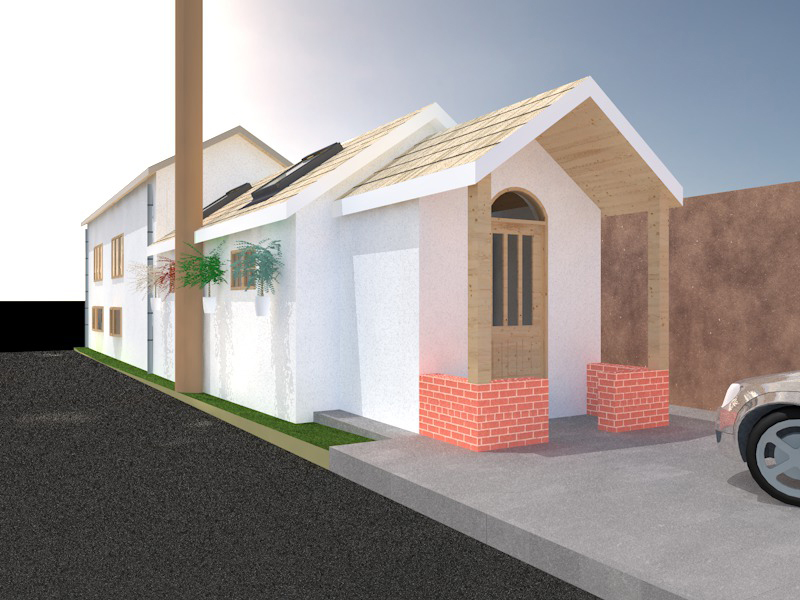 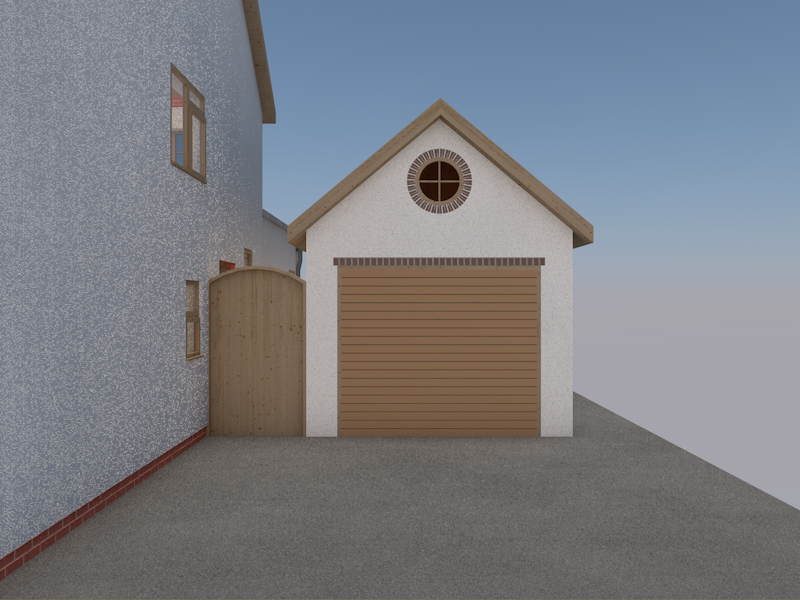 Our award winning building design software makes it much more than just 2D plans, with Archicad 19, we can show what your building project will look before it is even built. 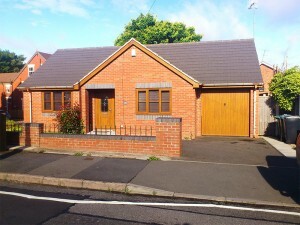 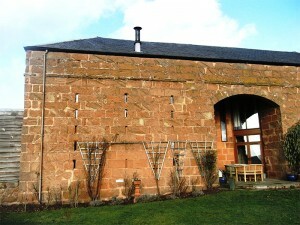 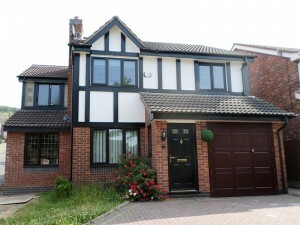 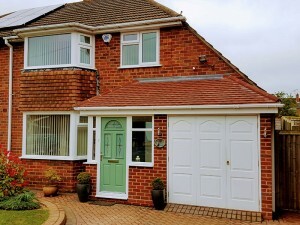 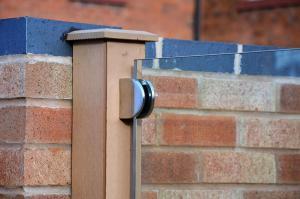 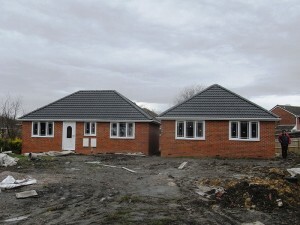 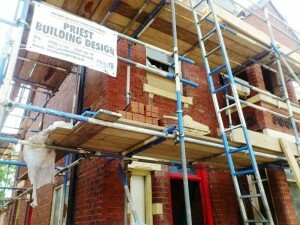 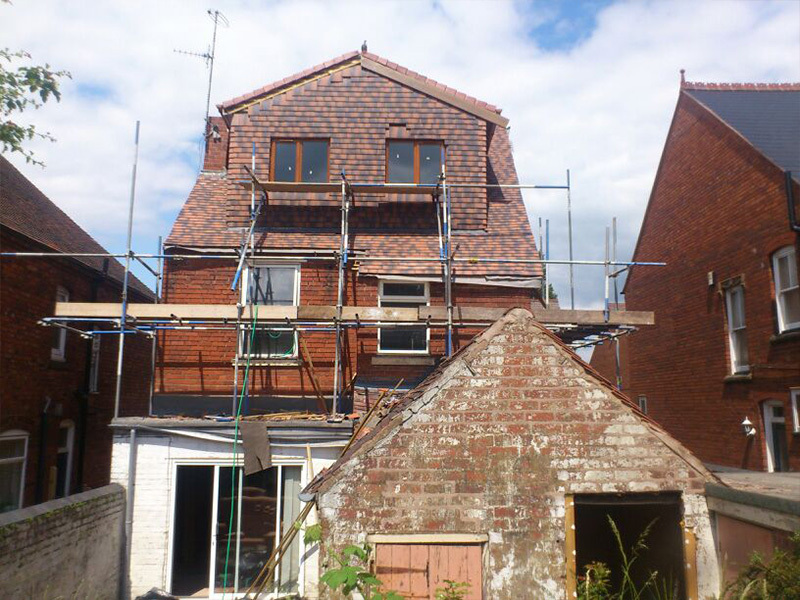 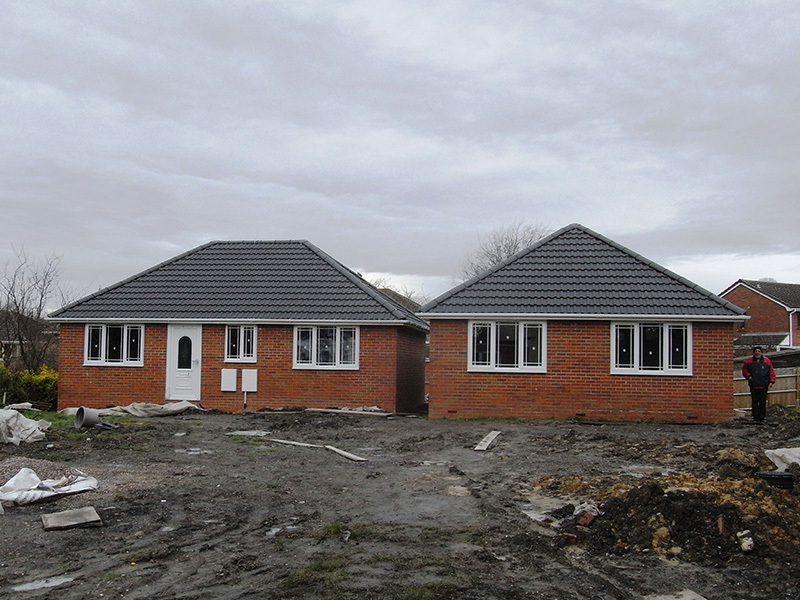 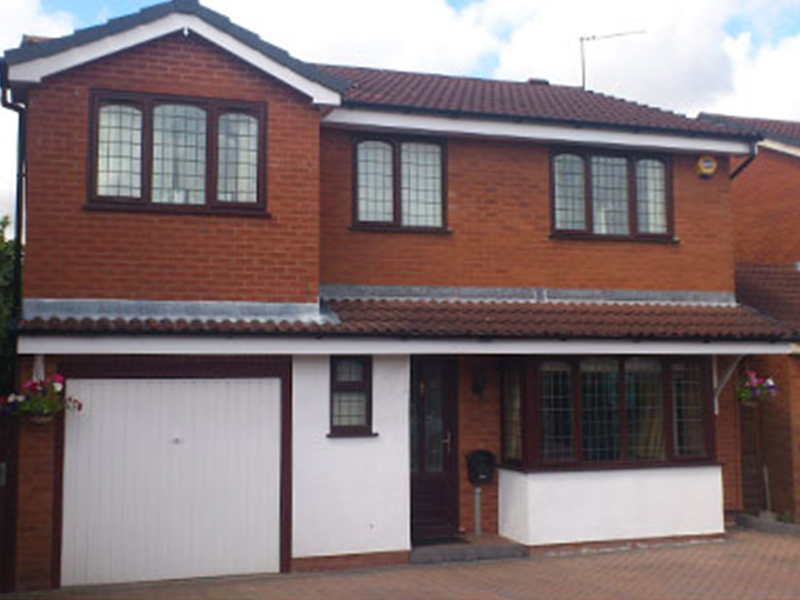 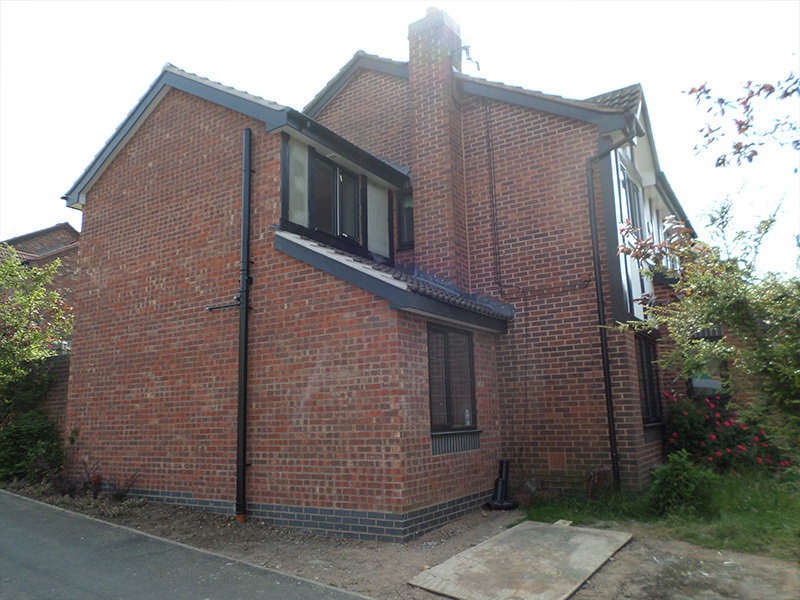 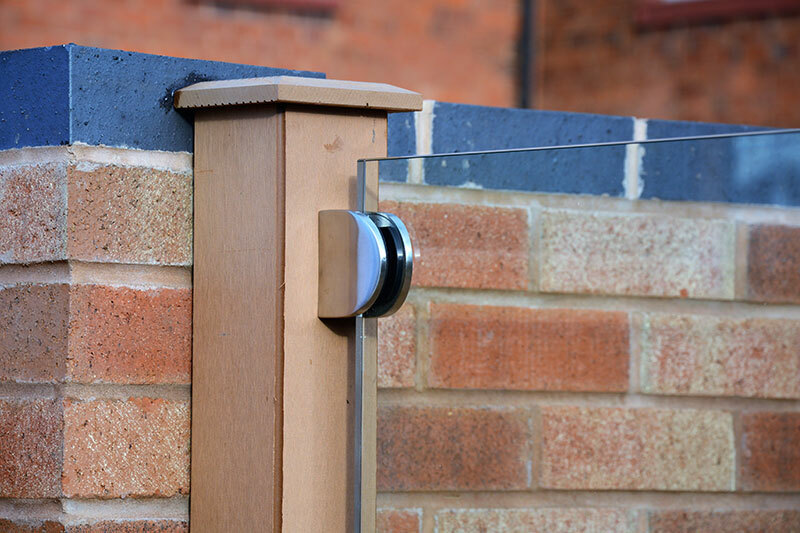 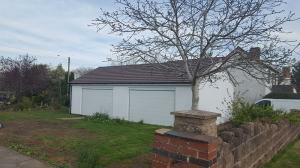 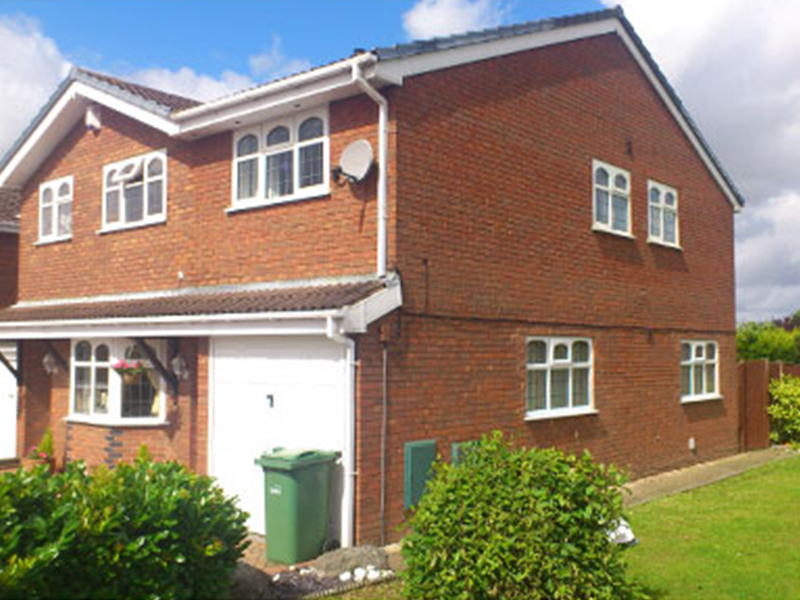 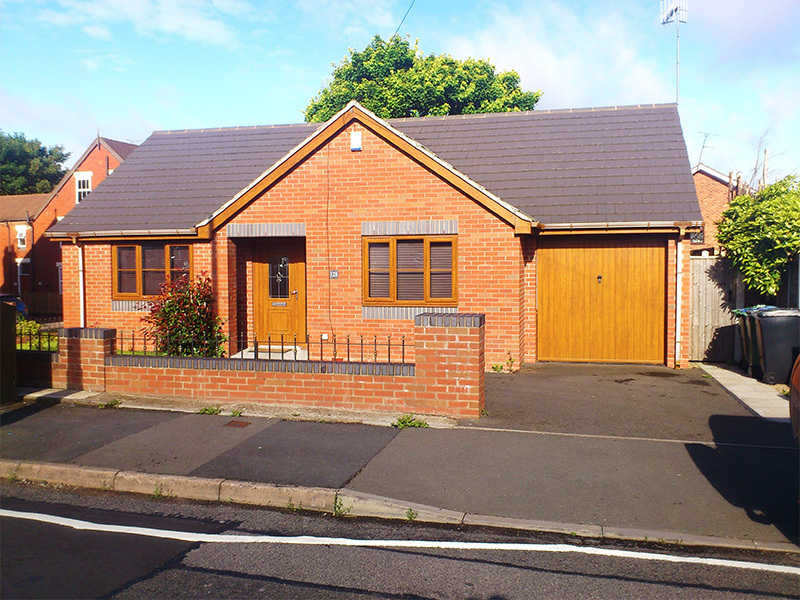 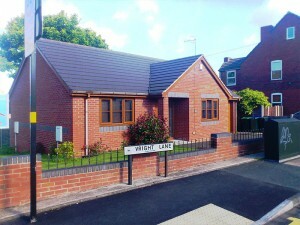 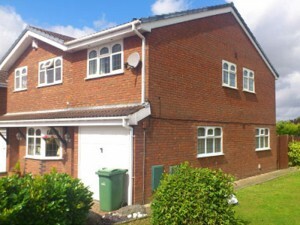 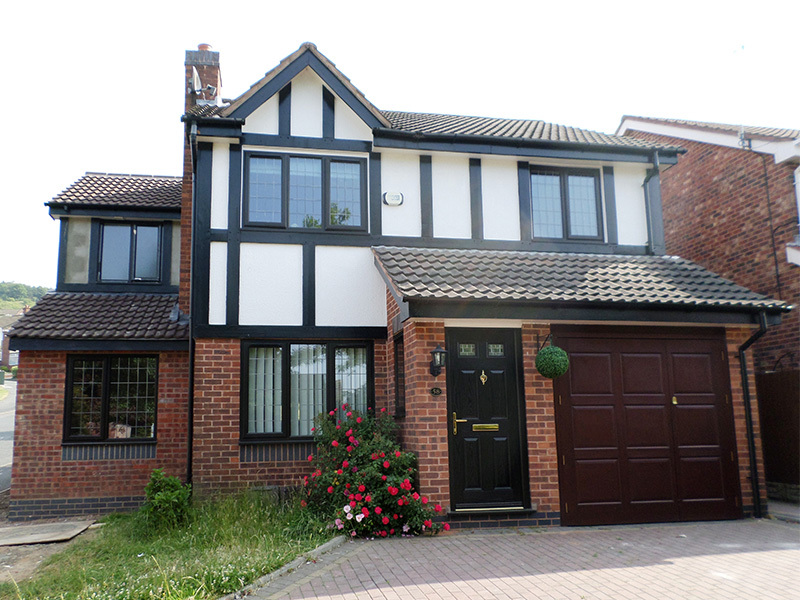 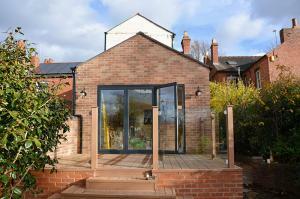 This makes the project trouble free for you, the builder and the local authority. 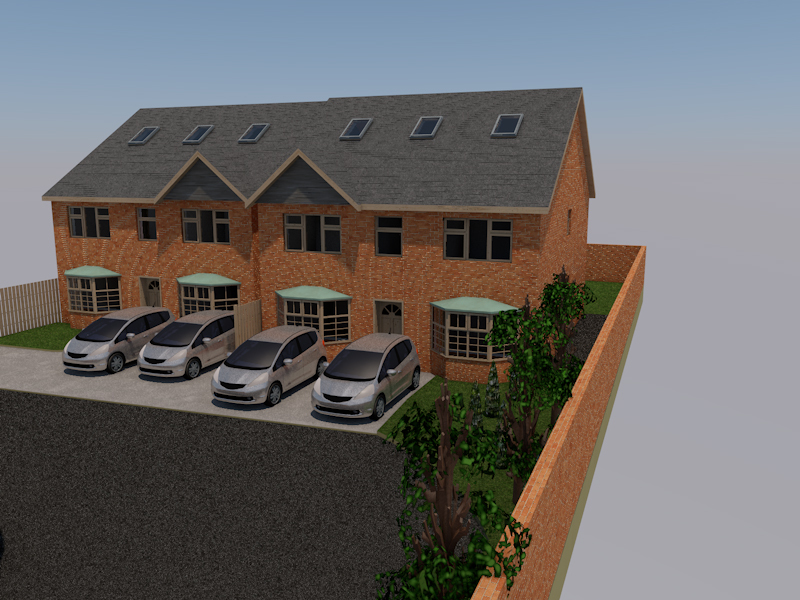 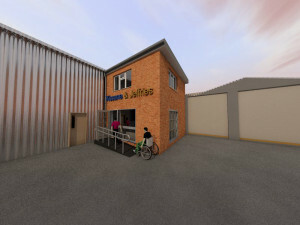 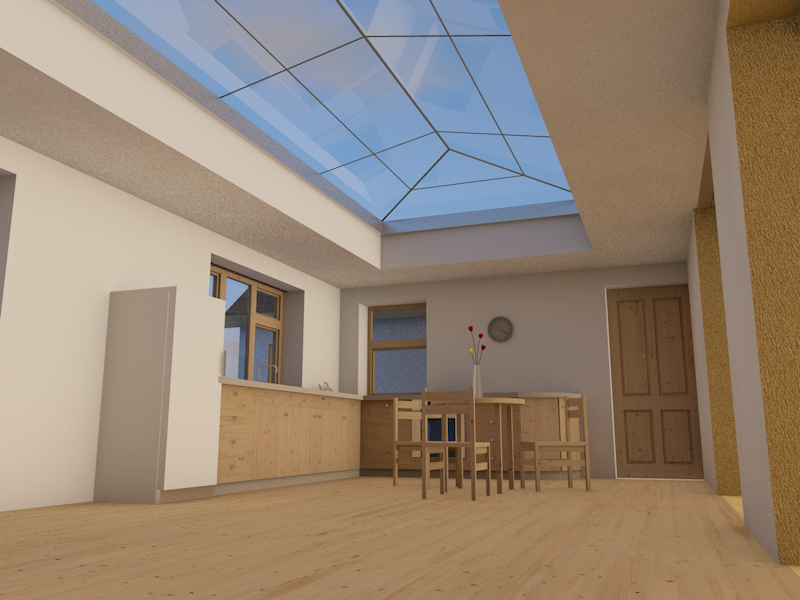 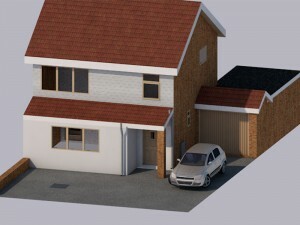 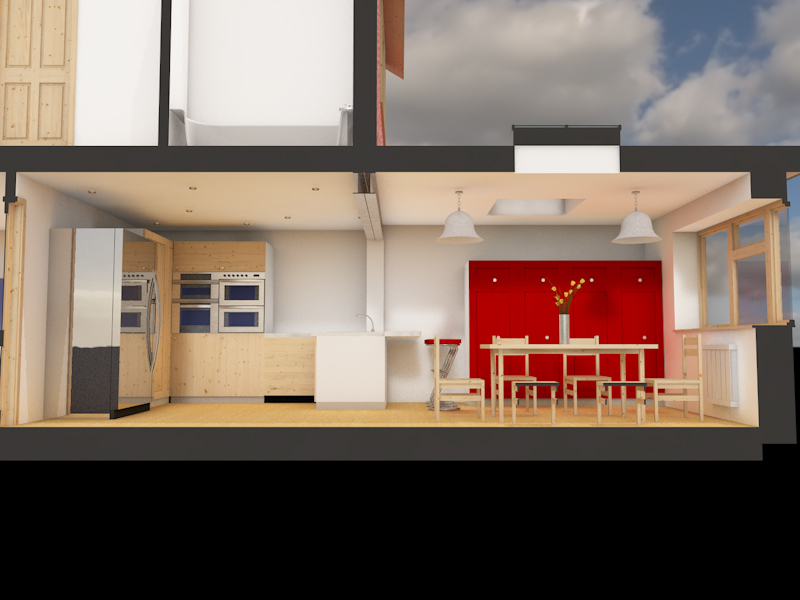 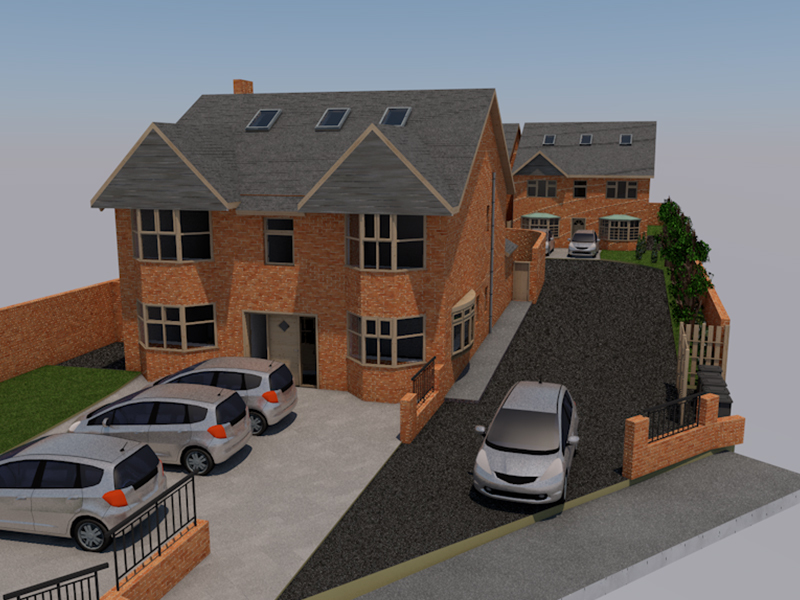 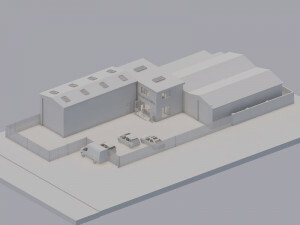 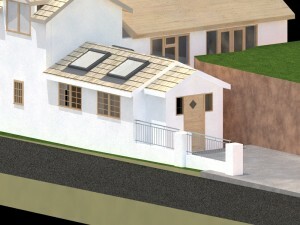 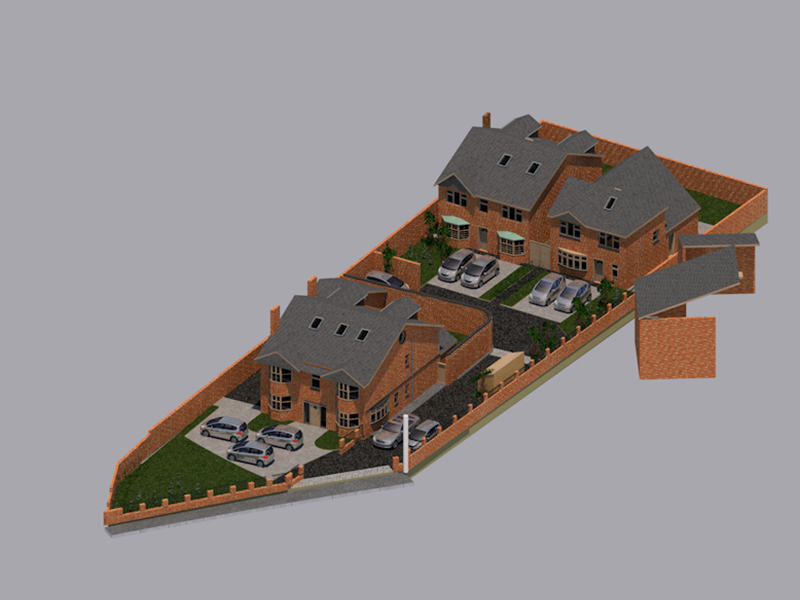 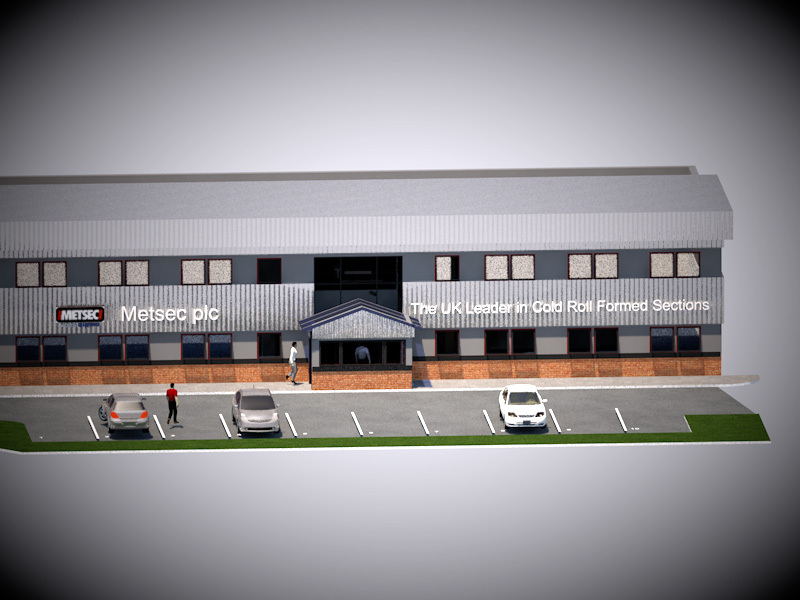 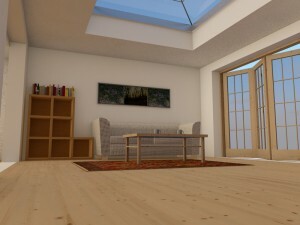 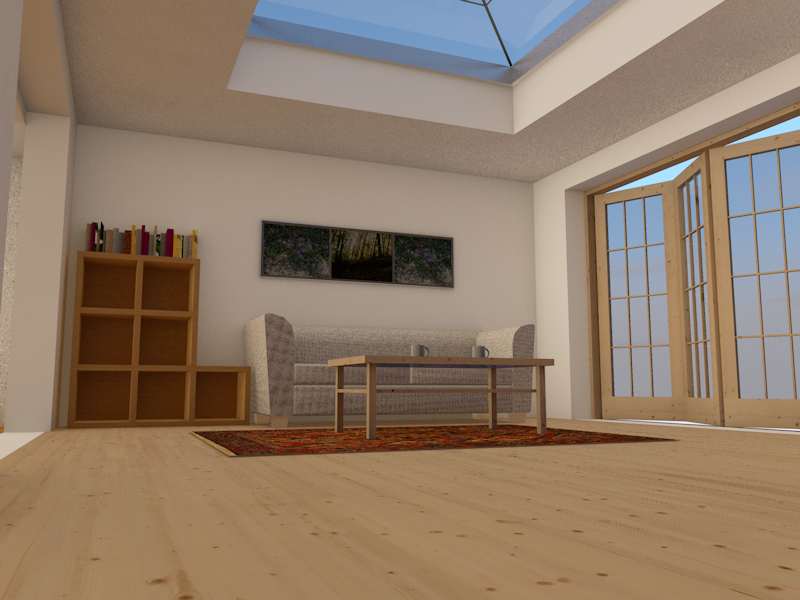 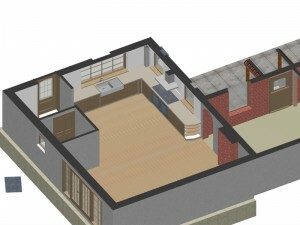 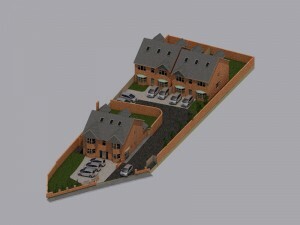 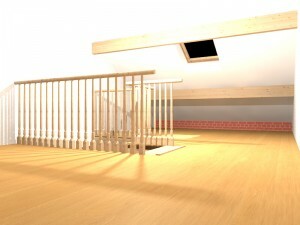 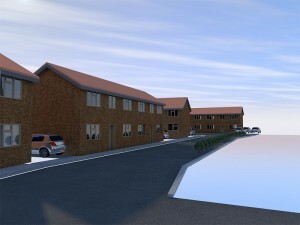 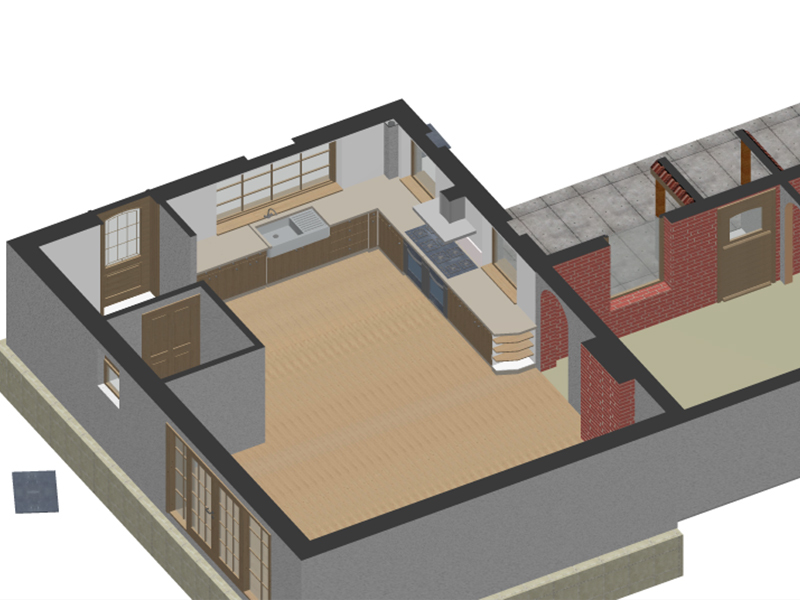 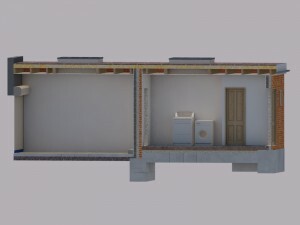 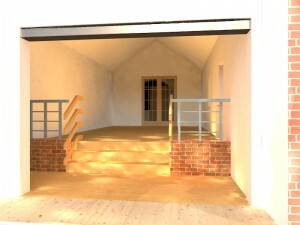 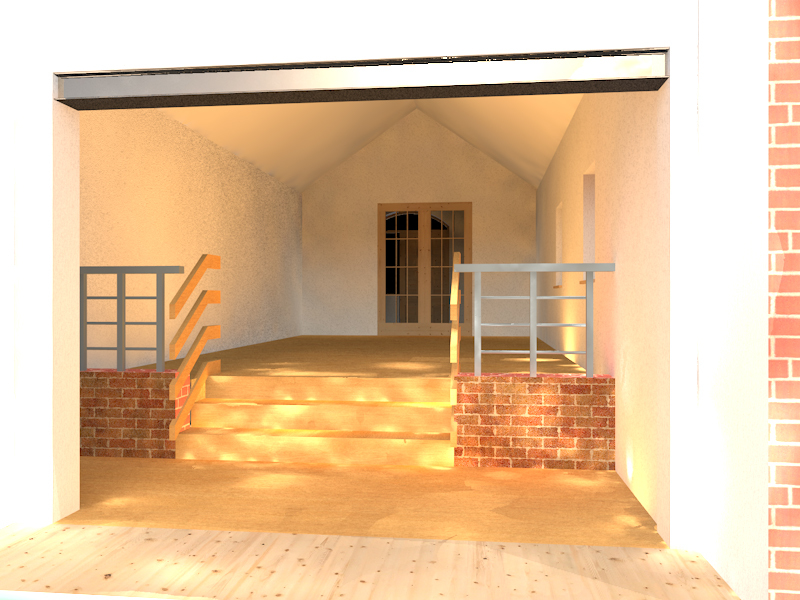 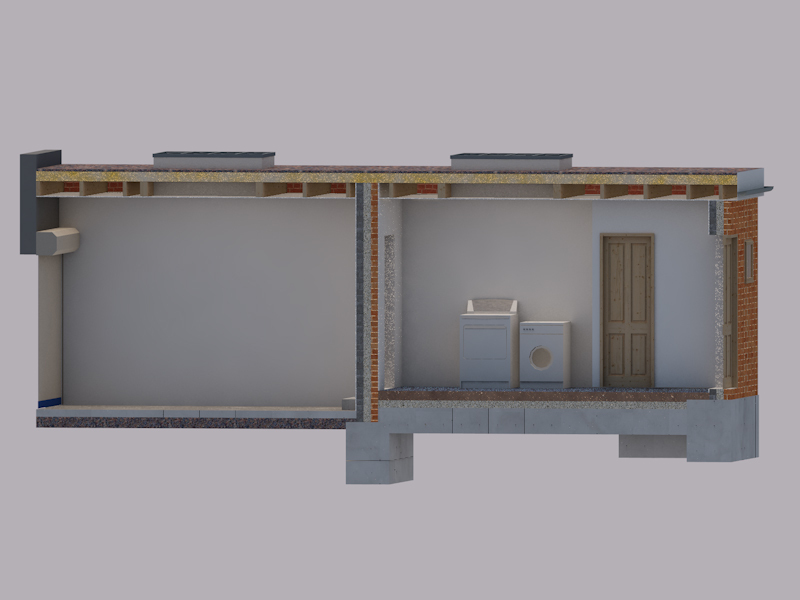 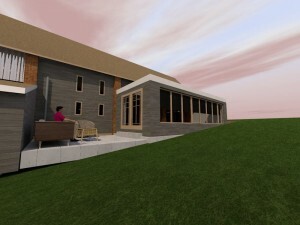 It truly is a step above traditional CAD drawings and will leave you amazed at the difference! 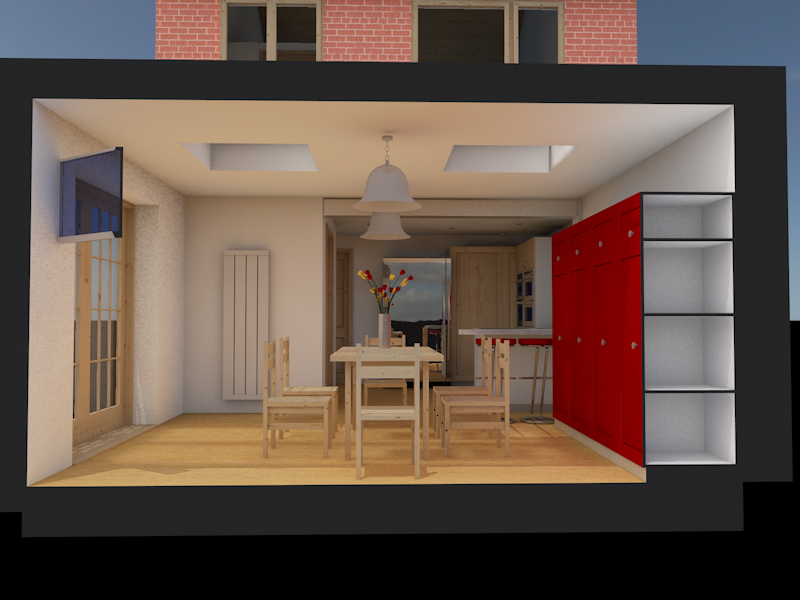 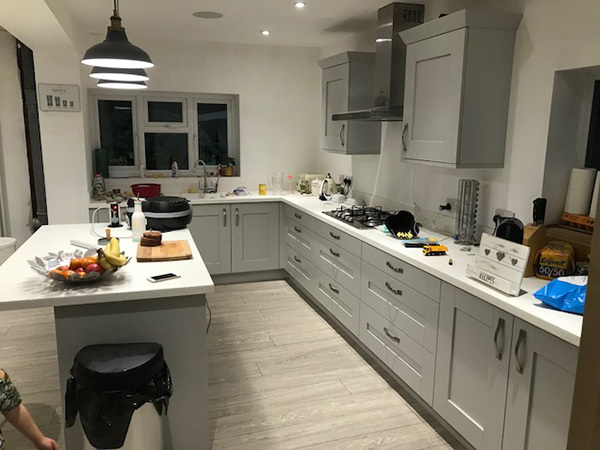 We were sought by this client to design a feature room to the rear under permitted development, making a room to serve as a kitchen diner. 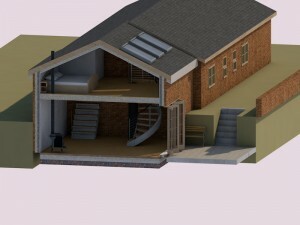 It was important to the client that the character of the existing building was maintained in the extension, the features were to be modern but also have a timely feel to them. 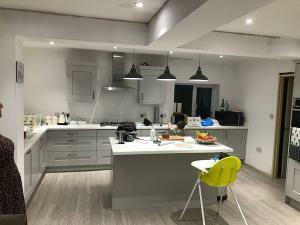 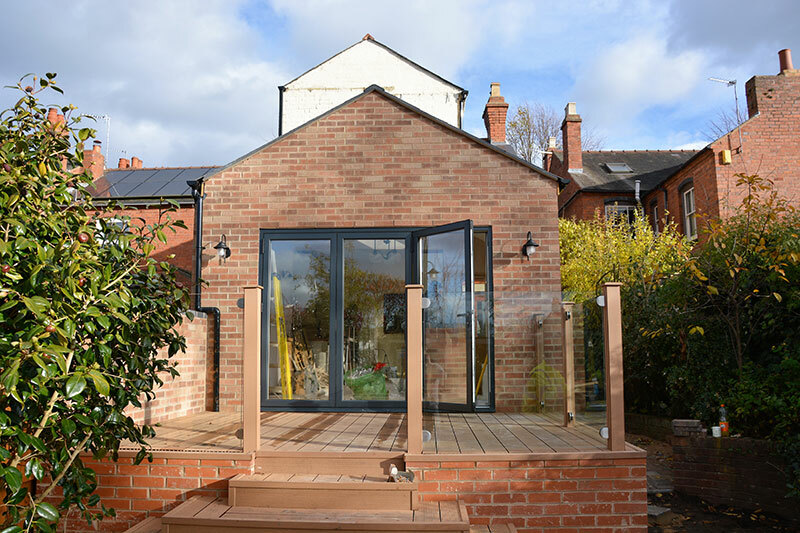 It was important the room had a flow and wasn’t obstructive to the eyes, in the new dining area there is a large bi-folding door across the rear face which has great views into the garden. 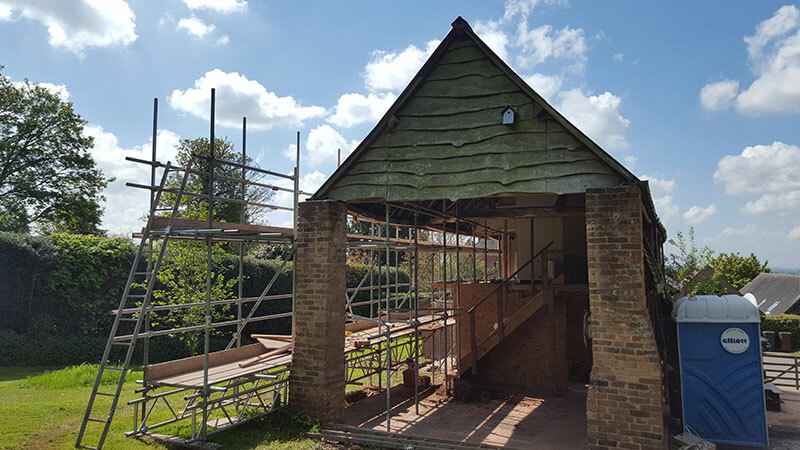 The side access has new paving to match the character of the house, paired with a full height three pane window, positioned carefully to catch the morning sun. During the design, we were able to show through 3D views that it would be too narrow following the existing rear face, the client therefore decided to extend out to the side one meter, giving the perfect circulations space to entertaining guests. 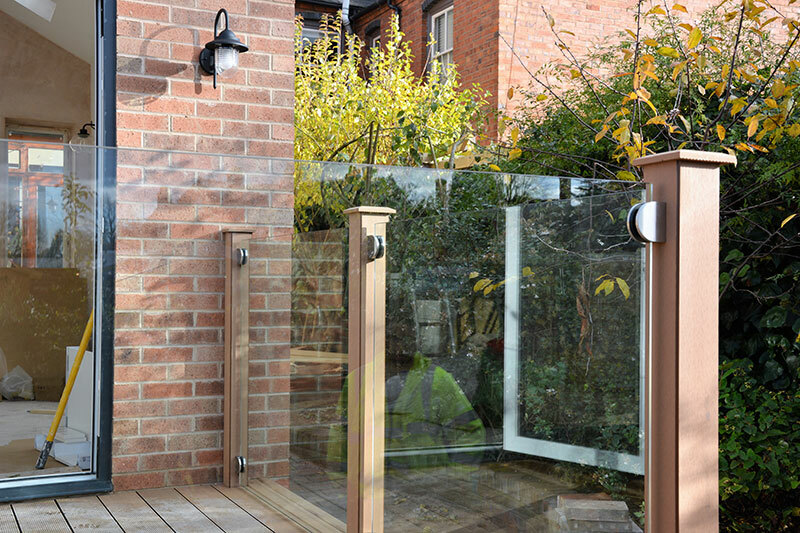 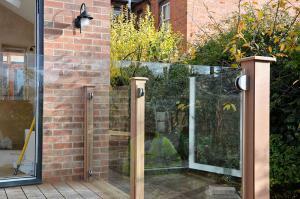 Outside of the extension is a raised decking area complete with a rich toughened glass railing, the egress down into the garden area is via a centre set of pyramid stairs. 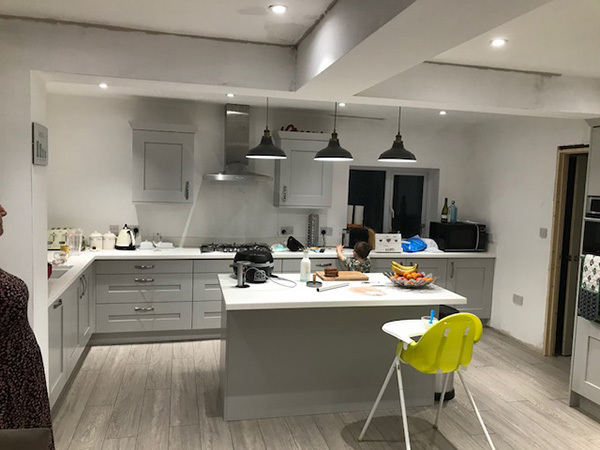 The light fixtures externally were coach house style lights and internally we chose a large pendant hanging down into the centre from the ridge and two wall lights. 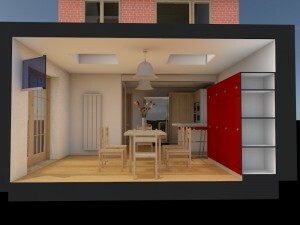 We worked at the side of the client to devise the new kitchen, which was sourced from IKEA. The clients were extremely happy with their finished product. 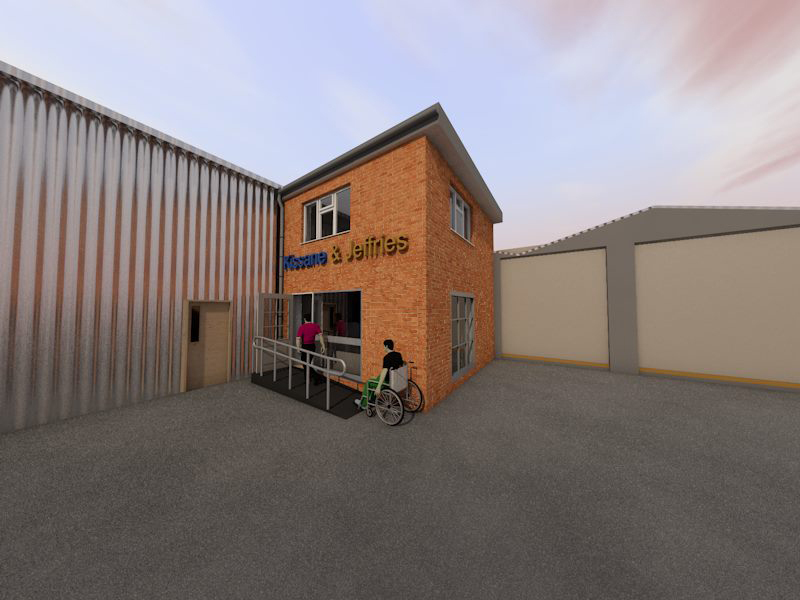 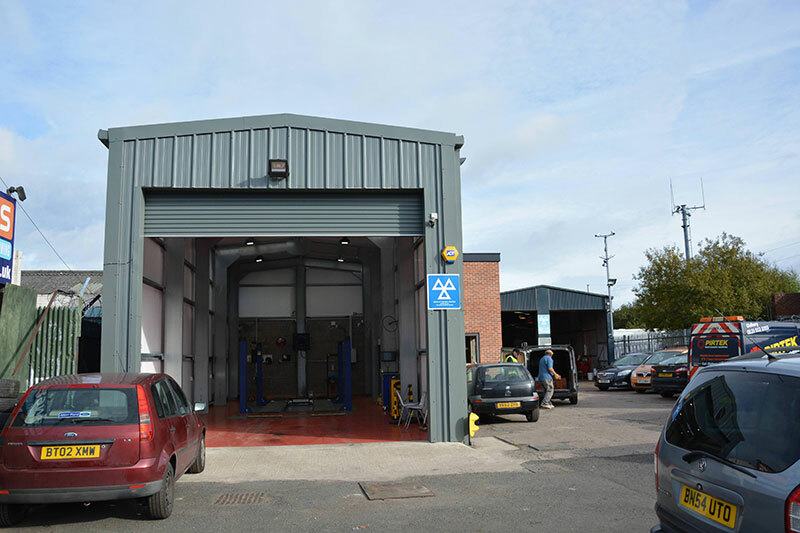 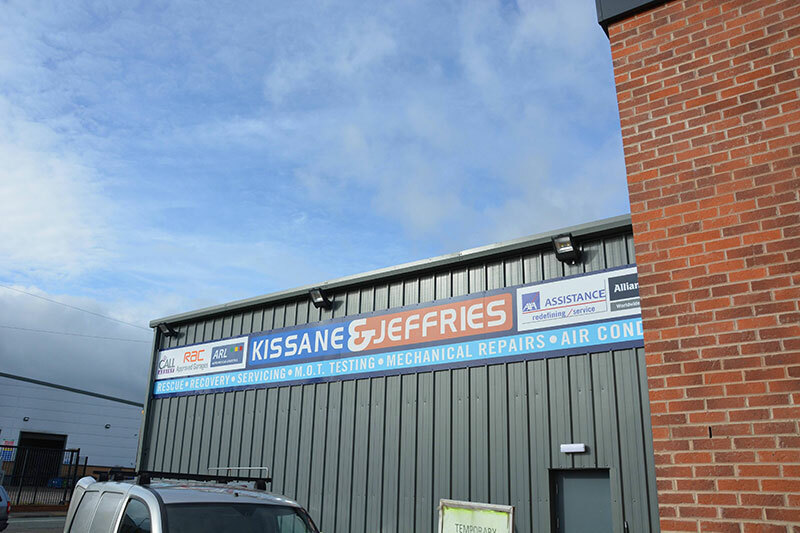 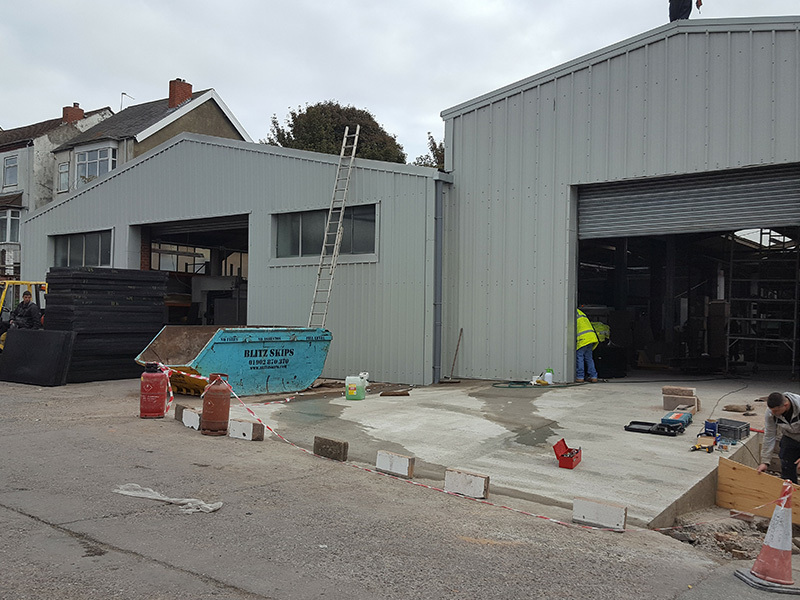 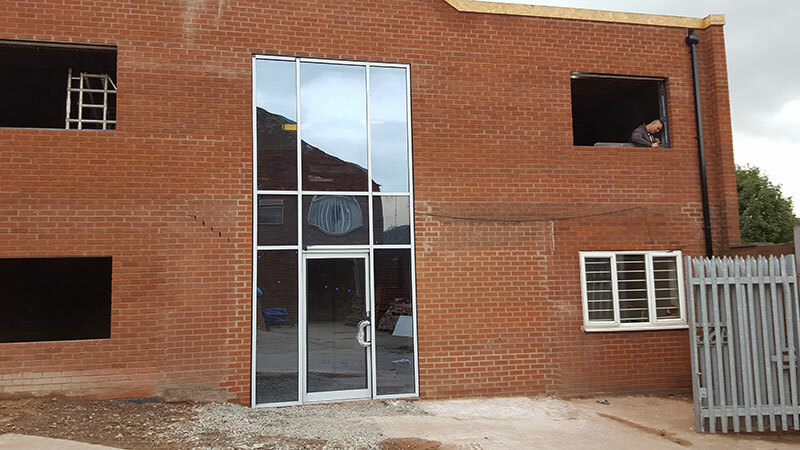 We were approached by a local mechanics situated near a very popular train station, the brief supplied to us was that we had to design a 2-storey office building to replace the dated entrance to the reception. 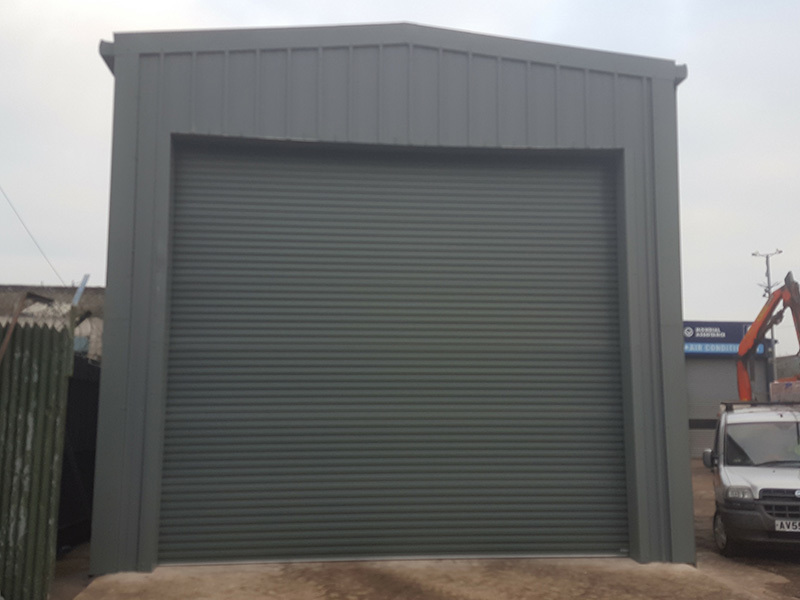 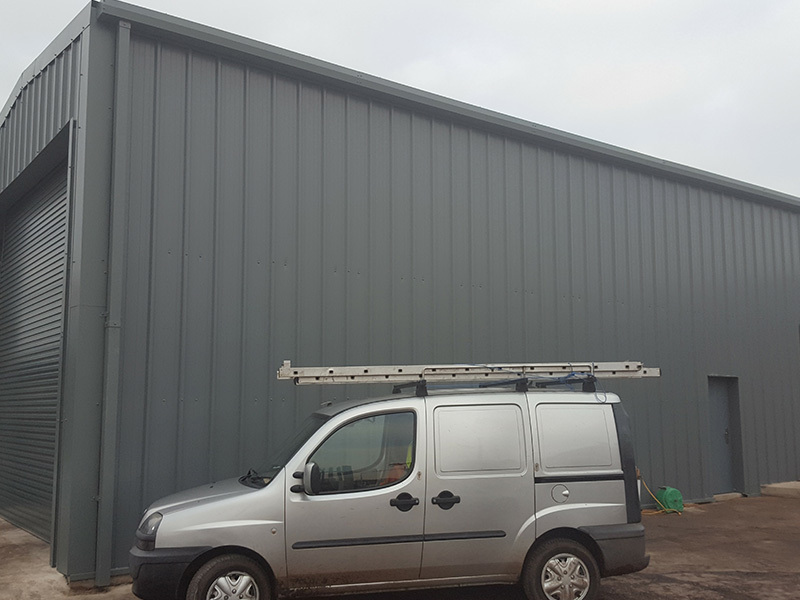 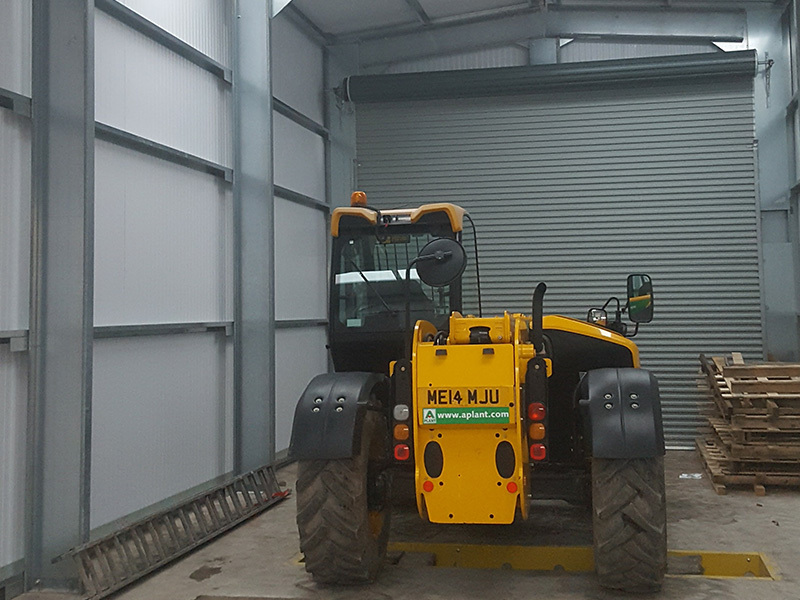 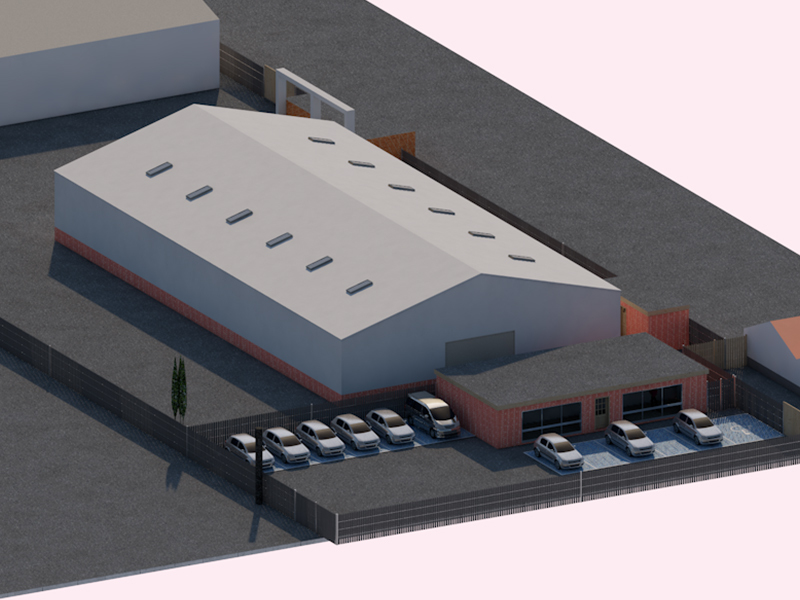 We also worked alongside a large steel building manufacturer to make sure it was in correspondence with our design; this was intended to be a large MOT for larger wagons and vans. 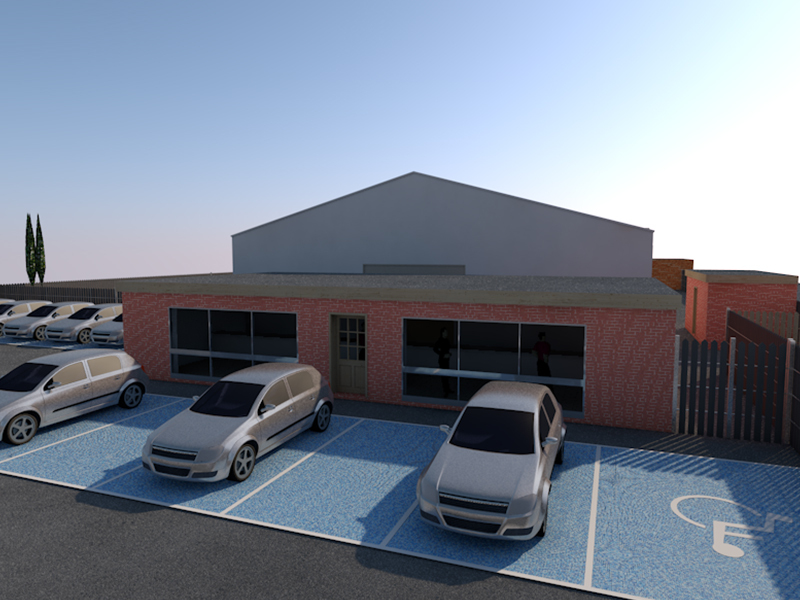 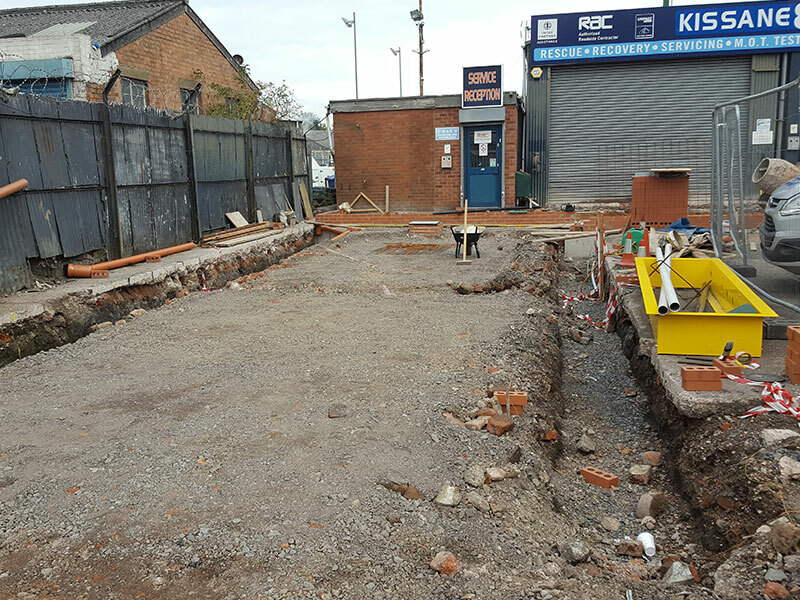 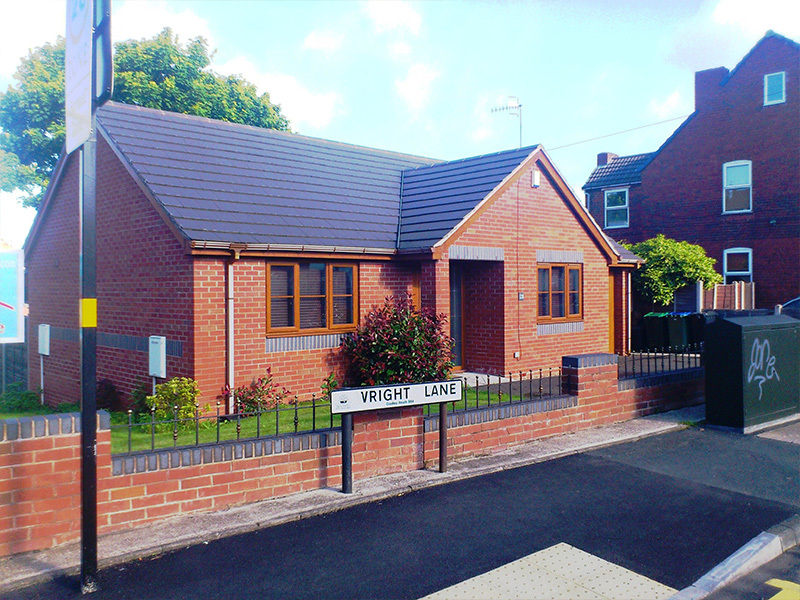 Accessibility was key in this design and we have worked alongside Sandwell LABC to make sure it was designed correctly and in mind for wheelchair users. 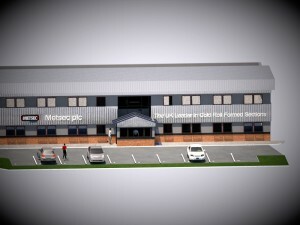 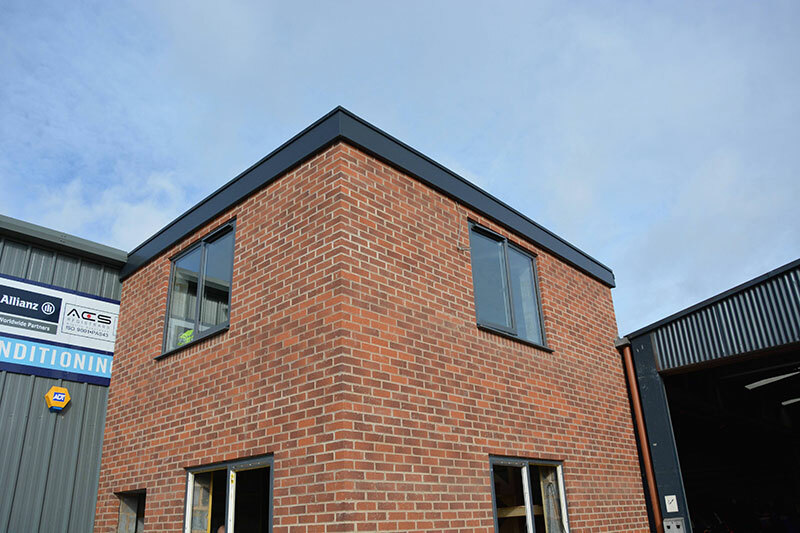 It was important that the building had a modern look that gave the building variety and unique features; we designed it with grey anthracite finish, and a very modern brick match. 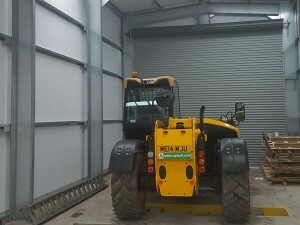 We also positioned a barrier to stop any dangers with reversing or turning vehicles colliding with the large building. 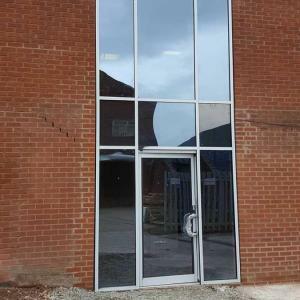 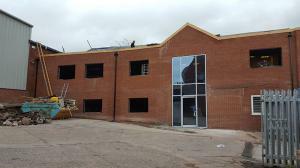 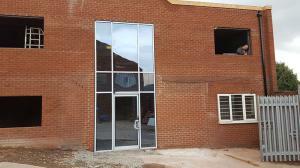 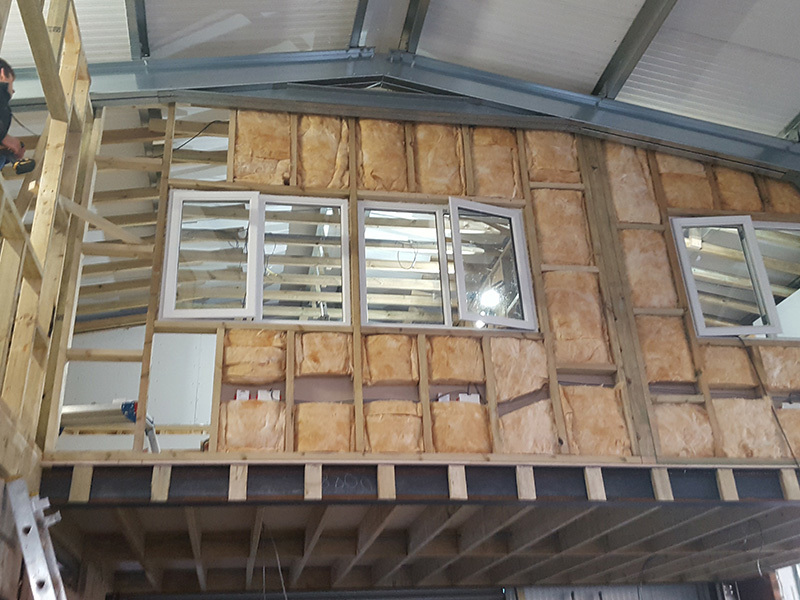 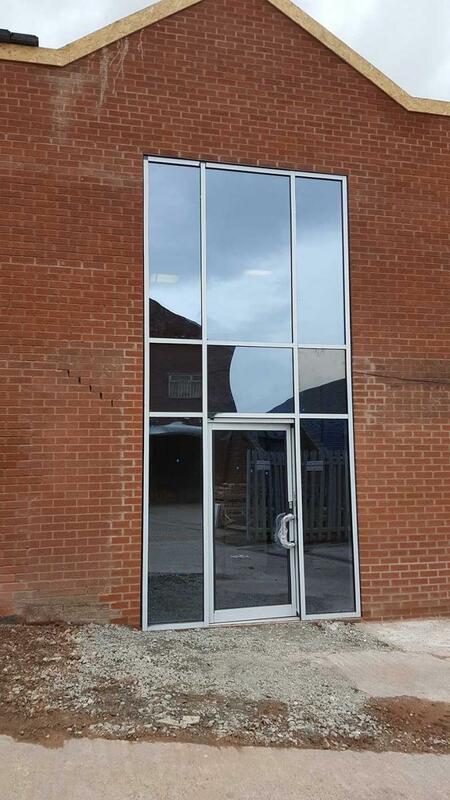 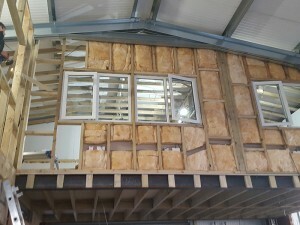 To the front elevation of the office building, at first floor level in the office, it was important that there was a window positioned for the managing director to overlook the yard and entrance. This achieves an elevated view of his business at any time. 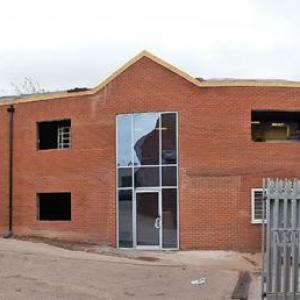 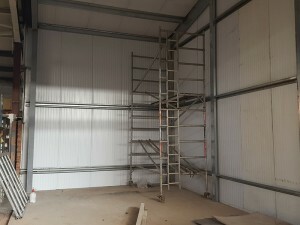 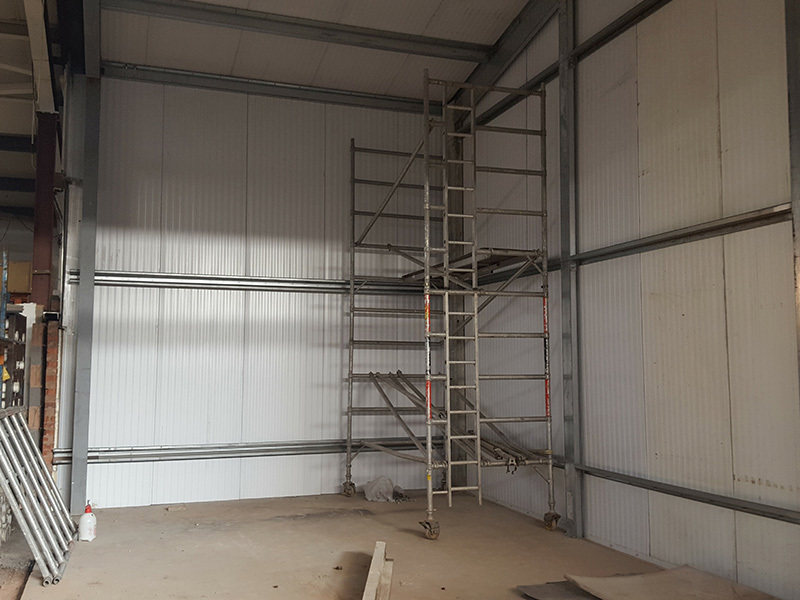 As it is a commercial business and a mechanics at that, a specialist audio-visual fire alarm had to be installed, with running man escape lights.